Special Containment Procedures: SCP-2815 is to be monitored on a 24-hour basis by members of MTF Epsilon-6 “Village Idiots”1. Task force agents are to periodically make visits to the village variously disguised as government and county officials, law enforcement officers, tourists, researchers, construction workers and out-of-town service personnel. Agent Balogh is to infiltrate SCP-2815 via initiating a romantic relationship with an instance of SCP-2815-1 (designated SCP-2815-1-A), with the aim of marrying into the family, producing offspring and (unless posing significant danger to containment) be officially inducted into the community. Agent Balogh is then to record and/or document any anomalous or otherwise suspicious activity via any means possible and transfer the data to Foundation researchers for analysis and study. 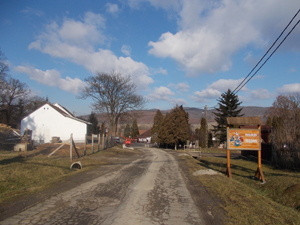 Agents Hegedüs, Kolompár and Lakatos are to make contact and attain a working level of trust with the local Roma community, whereupon they will be co-opted into surveillance operations. REVISION (24/06/2016): As SCP-2815 has proven to be largely self-containing, focus will shift to monitoring any activity by and limiting the influence of GOI-03852 within the village of ███ and Heves county as a whole. This task is delegated to MTF Psi-13 "Witch Hunters"3, due to their infiltrators already being established within GOI-0385 for surveillance. The new primary goal is to prevent the radicalization of SCP-2815 by GOI-0385. Data sharing between relevant Epsilon-6 and Psi-13 detachments to facilitate containment has been approved and mandated by the O5 Council. REVISION (13/12/2016): Following data gained from Expedition Ψ13-2815-1612-1, MTF Epsilon-6 is to observe all harvests made by SCP-2815 and track all shipments of produce and medical supplies originating from ███. Requisitions for specimens for research purposes can be made with either Head Researcher Dr. Hidegkúti Lajos or ranking Sitra Achra personnel. Acquisition of specimens is to be made by Epsilon-6 plainclothes operatives under the guise of ordinary customers. Additional funds, materials and manpower is to be made available to the local Epsilon-6 detachment in order to achieve these goals. Entrance to the village of ███, home of SCP-2815. Description: SCP-2815 designates an anomalous, endogamous community comprising the majority of the inhabitants of the village of ███, Heves county, Hungary. Of the village's 367 inhabitants (95% Hungarian, 5% Roma), about 80% are genetically related, belonging to one large extended family sharing the surname '████' or '████'. Only the local Roma community and a few other Hungarian households lack genetic relations to the ████ family. Identity within SCP-2815 is strongly linked to the idea of shared ancestry. Kinship ties are reinforced by having members of SCP-2815 interbreed with distant relatives in order to maintain a more closely related community, in accordance with their beliefs. Heavy restrictions are placed on exogamous unions, with only one such union allowed every fifth generation for any given bloodline. Community members (henceforth referred to as SCP-2815-1) possess an ability to intuitively and accurately determine the degree of inbreeding among one another, which is used to define social position according to perceived genetic purity. Very few instances of SCP-2815-1 (fewer than 3%) have been shown to possess non-debilitating physical deformities. These individuals do, however, seem to play prominent roles in the spiritual life of SCP-2815. Though outwardly portraying themselves as moderately devout Roman Catholics, investigations have revealed the community to be practising a religion derived from Hungarian paganism displaying a high degree of syncretism with a heterodox variety of Sarkicism4. The few members displaying physical deformities (commonly polydactyly, severe hyperdontia, caudal appendage, heterochromia, albinism) are given the status of táltos5 (henceforth referred to as SCP-2815-2), a role for which they begin training as early as the age of five or six, in accordance with Hungarian pagan tradition. Belief in the efficacy of magical rituals is widespread and reinforced by SCP-2815-2 instances' ritual display of anomalous abilities, which play a central role in many rituals. These abilities are widely believed by SCP-2815 to be directly tied to their physical deformities and have been shown to include remote viewing, retrocognition, limited precognition, fleshcrafting, anomalous healing, sensory and emotional projection, conversion of bodily fluids to gaseous or solid states as well as remote control of horses. The main application of these abilities seem to be as a form of alternative medicine. Religious practices include a mixture of Hungarian pagan and common Sarkic rites and rituals, and while it has never been observed, there have been mentions of slow slicing6. SCP-2815 instances display a surprisingly low rate of physical deformities and other birth defects otherwise associated with inbreeding, despite the fact that most families have been continuously endogamous for over a century. In fact, the population is shown to be uncommonly healthy, a fact that has attracted the attention of the scientific community. Several studies have been published on the subject by geneticists, most of which were performed by the prolific Hungarian anthropologist Nemeskéri János7. The cause behind this incoherence is believed to be anomalous in nature. Rituals and sermons are held in an, as of yet, undeciphered language. This language has been identified by Foundation linguists as ostensibly Uralic with prominent Finnic features, a Hungarian substrate and elements from an unknown language that our linguists have given the provisional name “glossacháos”. The name of this faith among its adherents has been recorded as az Éh or sometimes Nyelke9. Foundation linguists have therefore dubbed the language Eehish. This language has been identified to be nearly identical to that spoken within the Hungarian-based Esoteric Order of the White Worm (GOI-0385). This would link SCP-2815 to both GOI-0385 as well as the numerous isolated proto-Sarkic communities in the Carpathian Mountains, suggesting a common origin among the Solomonari cults10 of medieval Hungary. Of particular note is the rite of passage into adulthood, which is performed at 23 for female and 26 for male individuals, while intersex individuals, on account of being considered SCP-2815-2 instances, receive theirs after the first sign of puberty. It centres around the consumption (read: swallowing) or implantation of an external organ or biological organism referred to by adherents as 'aklóca' and by clergy as 'akolossz'11. These have been identified by Foundation experts as instances of SK-BIO Type Z12. It is presumed that this organ is what allows SCP-2815-1 instances to sense and determine the “purity” of one another. A notable difference lies in the initiation ritual for SCP-2815-2 instances, for which the SK-BIO Type Z is grown inside a horse. The horse is then ritually slaughtered, removing most internal organs including the notably deviant Type Z specimen, which are then consumed by SCP-2815-2. Afterwards, the horse's wounds are sewn shut. Finally, SCP-2815-2 places one hand on it and maintains that position for approximately 10 minutes, after which the horse reanimates. This horse will then follow SCP-2815-2 around for the rest of the latter's life, claimed by SCP-2815 to aid it in its rituals13. These horses are designated SCP-2815-3 and appear to work as extensions of their specific instances of SCP-2815-2. SCP-2815-3 instances have been observed to consume organic matter, specifically animal tissue, which they later regurgitate as a viscous organic substance (designated SCP-2815-4) similar in form and composition to that recorded in SCP-2217 (Incident 2217-14). SCP-2815-4 has been observed being used by SCP-2815-2 to treat injuries and repair damage to buildings and other inanimate objects. This is accomplished by SCP-2815-2 transmuting it into the desired material. As explained by one instance of SCP-2815-2, a limitation of SCP-2815-4 is that any given instance can only be transmuted into one substance. Agent Balogh was discreetly able to obtain a small sample of SCP-2815-4. Sample was subsequently delivered to Site-66 for further analysis. The tests performed at Site-66 returned results showing the tissue to be saturated with N,N-Dimethyltryptamine (N,N-DMT)14, presumed to be a product of the local divergent SK-BIO Type Z grown inside SCP-2815-3. It is assumed that the N,N-DMT serves a similar purpose as it has in SCP-2480: revealing anomalously hidden features that are invisible to the naked eye or mundane recording equipment. Samples taken from SCP-2815-1-A (saliva, hair, nails, skin, blood) have not yielded any traces of N,N-DMT, confirming that this is a property unique to SCP-2815-2. Hogy velünk maradhasson időnk végéig. És az örökkévalóságot kitárva megpillantotta. The sermon was followed by the consumption of the deceased instance, designated SCP-2815-1B. Agent Balogh was politely denied from participating on account of him lacking an SK-BIO Type Z, though he was allowed to remain and observe. Following the conclusion of the ceremony, Balogh reported noticing gradual behavioural changes in his partner, Ivády ███████ (SCP-2815-1A), which intensified over the course of the following three days. The changes, though minor, were noticeably similar to those of SCP-2815-1B, the deceased instance which it had consumed. SCP-2815-1A has since been reported recounting memories specific to SCP-2815-1B. The exact number and extent of these memories is unknown, but presumed to be limited. According to SCP-2815-1A (as relayed by Agent Balogh), the purpose of the inbreeding practice is to "distill" the gene pool by weeding out non-Sarkic ("non-ancestral") material and increasing its "ancestral purity". Incestuous procreation and funerary endocannibalism are both believed to contribute to this. SCP-2815 believes the end result to be an individual pure enough that it would constitute an Earthly reincarnation of their prophet, Grand Karcist Ion, who would then unite all of humanity and usher in a Golden Age. Were it to succeed, it would at best cause an SK-Class Dominance Shift scenario (following the ████ narrative), and at worst a XK-Class End-of-the-World scenario (following mainstream Sarkic narratives). Due to the deviant nature of SCP-2815 and its beliefs from other Sarkic groups, the likelihood of such an event remains in doubt and is considered implausible. On 16/05/2016, Agent Kolompár relayed information concerning an unfamiliar veteran car having entered ███, sighted by one of the Roma inhabitants. The car was reported present in the village by all four agents posted there over the course of the following week. Agent Balogh reported having seen the proprietor of the vehicle, identifying him as Pelbárthidi Ödön (assigned the designation POI-563), a mid-ranking member of the Esoteric Order of the White Worm (GOI-0385). Agent Balogh never interacted directly with POI-563 and was unable to certainly determine its purpose. Though it can be assumed that POI-563's and its GOI's interest in the village is directly related to SCP-2815 and in particular instances of SCP-2815-2. It is feared that any active involvement of GOI-0385 with SCP-2815 may alter SCP-2815 breeding programme sufficiently enough to result in an XK-Class End-the-World-Scenario. Containment protocols have been updated following this report to account for the involvement of GOI-0385. As of 24/10/2016, POI-563 has revisited SCP-2815 exactly 19 times. In a few of these instances, he was seen accompanied by what are presumed to be additional members of GOI-0385. Agent Balogh, who has now reportedly met POI-563 several times, has detailed its efforts to recruit SCP-2815 into GOI-0385 or request for a live specimen of SCP-2815-2. Leading members of SCP-2815 have continuously refused these requests and have at best shown disinterest in GOI-0385. Due to SCP-2815's seemingly isolationist attitude towards other Sarkic cults, it has been deemed a Low Level Threat by SCP-2815 Head Researcher Dr. Hidegkúti Lajos. This reclassification is currently under review by Sitra Achra personnel. 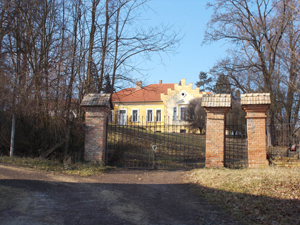 Following a ceremony on 3/11/2016, Agent Balogh noticed an instance of SCP-2815-2 enter a tree in the gardens of Ivády Manor. The instance was reported as "disappearing behind a fold in the trunk", though subsequent investigations have revealed no such features. None of the SCP-2815-1 present at the ceremony reported being able to perceive the aperture through which SCP-2815-2 had entered. According to local legend, only the táltos can ascend the "Sky-reaching Tree"17 (this is consistent with Hungarian mythological narratives), as the locals refer to it. The tree appears to the naked eye as an old specimen of Juglans regia (common walnut tree), and although visually inconspicuous, Kafka counters return readings of ca 50 humes in close proximity, leading to speculations that an active extradimensional portal may exist somewhere on the surface of the tree trunk. The tree, along with the presumed portal and extradimensional space, have been given the designation SCP-2815-5. On the advice of Dr. Narváez, Dr. Hidegkúti has scheduled an expedition into ███, to be carried out by members of MTF-Psi 13 "Witch Hunters" under the influence of N,N-Dimethyltryptamine. The goal will be to ascertain the anomalous nature of SCP-2815-5 and, if possible, gain access to its presumed extradimensional space. Expedition was dispatched and concluded on the night of ████████. No hostilities were encountered. All of the following objectives were achieved: (1) Locate SCP-2815-5 and ascertain its anomalous nature; (2) Gain entry to, explore and map the extradimensional space linked to SCP-2815-5; (3) Gather samples and materials from SCP-2815-5 for research purposes. A detailed log of of the expedition is available here: Expedition Log: Ψ13-2815-1612-1. All materials harvested from the SCP-2815-5 have since been provided the designation SCP-2815-6. Fruit from SCP-2815-5 (henceforth SCP-2815-6A) were subjected to genetic tests to determine origin and composition. Test were performed on samples taken from each fruit, including: peels, flesh, juice, stems, arils and seeds. Tests returned results showing fruits to be composed of a wide variety of DNA, including human and other non-plant material. Although each individual fruit varied as to the ratios between different genes, there was no identifiable pattern with regards to species of fruit. All fruits were found to contain all genes of every species ever recorded in Hungary since the 16th century. All D-Class tests performed have yielded results showing no direct negative effects. The blood and organs collected from SCP-2815-5 (henceforth SCP-2815-6B) were also tested. All results returned showed specimens to be genetically 100% human material. Blood types varied, but included an unusually prominent amount of otherwise rare blood types. All organs appeared to be in a healthy state (excepting tissue degradation since removal from SCP-2815-5B). Experiments with organ replacement on D-Class subjects showed increased performance of all SCP-2815-6B instances compared to their original counterparts. Test subjects reported feeling healthier and "more wholesome". All construction materials (henceforth SCP-2815-6C), especially the wooden materials, were scrounged for traces of organic matter, which similarly underwent genetic testing whenever applicable. All wooden materials were shown to consist of a mixture of human and equine genetic material, whereas all inorganic materials contained considerable traces of biological matter of the same makeup. One of our graphic artists has also been able to able to produce an approximate replica of the flag observed by FT-Δ4 during Expedition Ψ13-2815-1612-1, which I have included in this report. Artist's rendition of the flag observed within SCP-2815-5. According to the reports that we have received from Agent Balogh, SCP-2815 regularly transports SCP-2815-6 in bulk out-of-town once a substantial enough amount has been collected. Maj. Obrenović's other field agents have further witnessed SCP-2815-6 sold at various farmer's markets throughout the country (including major urban centres such as Budapest, Debrecen, Miskolc and Nyíregyháza) and donated to a wide variety of private households and local charities. Obrenović has notified me that according to a certain retrieved document, at least one shipment of SCP-2815-6 has been confirmed to be in the possession of the Manna Charitable Foundation18. Conclusively, the singular most important note in these discoveries is that, for all intents and purposes, SCP-2815 seems to be utilizing SCP-2815-5 and their anomalous skills and resources for explicitly benign purposes. Maj. Obrenović has argued for armed intervention and possible termination, believing SCP-2815 to be using live humans in the creation of SCP-2815-6. While I honestly cannot fault him for being suspicious, considering the Sarkites' overall track record, neither can I accept nor condone his requests. We cannot simply purge an entire community based on circumstantial evidence and mere conjecture, especially considering the good these people do. A lot of Hungary's hospitals receive a lot of vital organs and rare types of blood from these very people, saving a lot of lives that would otherwise be lost. Moreover, SCP-2815 represents the first and only outright benign Sarkic community we have yet encountered. Taking hostile action against them would make us lose unique research subjects as well as a potential strategic asset. Think of the medical benefits that could be drawn from studying them. With luck, we may even find something with which to counteract Sarkic halkosts! Not to mention the knowledge there is to be gained about a culture and civilization that we know next to nothing about. Thus, as SCP-2815 is of singular importance to the Foundation's third mission, it is my professional opinion that they be left unmolested. Mission was a success. It's rare to have a milk run like that, even more so when dealing with these Sarkites. A pleasant surprise. I'd like to extend a personal thanks to Dr. Narváez and MTF Psi-13 for their invaluable efforts. Dr. Hidegkúti's team of analysts have returned findings that have revealed the fruits of both the external and extradimensional trees of SCP-2815-5 to be composed almost entirely of human DNA. Same goes for their medical supplies and construction materials. We had D-Class test subjects try each fruit, who all reported no deviations from the real varieties. No test subject experienced any negative side-effects whether during or after the experiments. For all intents and purposes, these are just regular pieces of fruit. However, if what Dr. Narváez has told me of these Sarkites is true, then we have all reason to believe that the fruits do indeed consist of real human tissue. I suspect they are merely transmuted via some anomalous process into their present states, in much the same way that SCP-2815-2 is able to transmute SCP-2815-4 into various building materials. In all cases, the results have proven indistinguishable from the real deal to every human sense of perception. It's also worth noting that the origin of their plentiful harvests have been unknown up till now and I'm fairly certain that they all originate from SCP-2815-5. And this is the stuff SCP-2815 sells at farmer's markets! In essence: they're making people eat other people. While it doesn't seem to be dangerous in any way (in fact, these fruits seem to have higher nutritional value compared to their regular counterparts), I think nobody will disagree as to how disconcerting this is. For all we know, they might be using human sacrifices to produce these "fruits". In light of this, I'm requesting an armed intervention to shut down these Sarkites and remove their products from the market. Hopefully, we can prevent the entire county from being turned into unwitting cannibals and accomplices in murder. "We have received and read your missive, Maj. Obrenović. Thank you for your concern. 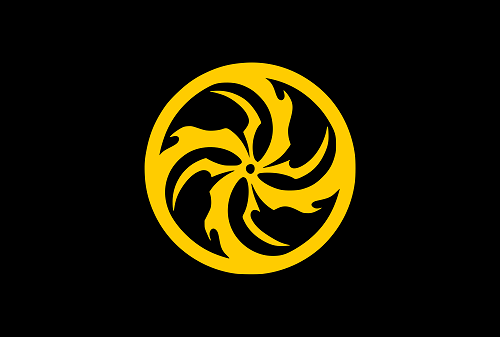 The SCP Foundation and Global Occult Coalition will make no direct armed response against SCP-2815 in light of these recent discoveries, nor will the Foundation or GOC take any hostile action against SCP-2815 until further notice. SCP-2815 constitutes a hitherto unique opportunity for the Foundation to study a Sarkic society in depth without risking the lives of its researchers and operatives. The value of this research is indispensable, and no matter how disquieting it is to be eating disguised human flesh, the disadvantages of intervention far outweigh the benefits under the current circumstances. Furthermore, the goods produced by SCP-2815 have proven highly beneficial, despite their composition and speculated origins, and despite your claims, you have failed to uncover or present any evidence that they are actively harming human beings. Their intentions, and particularly this "Tree of Life", have proven nothing but benign, as your own Agent Balogh has continuously reported. Their blood and organs are tapped and harvested from a tree rather than human beings, which they donate to hospitals and charities, providing valuable commodities that help save human lives. We have here what is ostensibly a group of charitable Sarkites, who not only don't wish to harm people but actively want to help them, an unprecedented discovery, and your first reaction is to destroy it? The order stands: Epsilon-6 and Psi-13 are to contain, not engage, SCP-2815, as per established Foundation containment procedures. This decision will not be reviewed until additional evidence is uncovered as to the origins of SCP-2815-6 and general purpose of SCP-2815. If you are dissatisfied with this decision, Maj. Obrenović, you may request reassignment to another project. General Natalja Kostrova, SCPF Chief Commander of Sitra Achra"
Trust me when I say that I'm just as appalled at this decision as you are. Should you feel that your current posting won't allow you to make a difference, send me a signal. The Abyss Gazers19 could use men of your calibre, Obrenović, and I can promise you more rewarding work than making people eat their own kind and babysitting a bunch of dangerous fleshcrafters for the eggheads. We'd be glad to have you. Give it some thought. 1. Mobile Task Force Epsilon-6 specializes in the investigation, containment, and subsequent cleanup of anomalies in rural and suburban environments. 2. Active primarily throughout Europe, the Esoteric Order of the White Worm (Hungarian: Fehér Féreg Ezoterikus Rend) is a Sarkic cult disguised as an occult themed fraternal organization. Similar to other "secret societies", the existence of the cult is an open secret while its true nature is unknown to the general population. 3. Mobile Task Force Psi-13 is a highly classified joint Foundation/GOC task force designed for the infiltration of Sarkic organizations and the termination of high threat members. Operatives are trained in Counter Occult Stratagems (COS) and the use of corrosive/incendiary armaments. 4. Sarkicism (derived from the Greek σάρξ, or “flesh”) is a religious/philosophical system that encompasses a variety of traditions, beliefs, and spiritual practices largely based on teachings attributed to “Grand Karcist Ion”, its deified founder. Adherents practice ritual cannibalism, human sacrifice, corporeal augmentation, thaumaturgy, dimensional manipulation, and the formation of pacts with otherworldly entities. Organic manipulation has allowed certain Sarkites to achieve anomalous states of being, transcending the physical limitations of baseline humans. 5. The name for a cleric in Hungarian paganism and neopaganism, similar to a shaman. 7. Hungarian names are written in Eastern name order, meaning the surname precedes the given name. This article uses Eastern name order for such names. 8. Thus far, agents have encountered no mentions of Yaldabaoth or Važjuma, the primary Sarkic deity, in SCP-2815. 9. Az Éh literally translates to "The Hunger". Nyelke appears to be a Hungarian rendition of the Sarkic endonym Nälkä, both of which derive from the Proto-Uralic root '*ńäle-'. 10. A Sarkic cult historically active in the Kingdom of Hungary during the Medieval and Renaissance periods. It was presumed destroyed during the 15th century by the Hungarian commander John Hunyadi (Hunyadi János). Historical evidence suggest that some Solomonari served as "court magicians", advising their lords and ladies on matters of alchemy, medicine, astrology, and the occult. Several boyars of Wallachia and Moldavia, most notably the Gutkeled clan of Hungarian nobles, are now believed to have been under the control of the Solomonari; an influence that would lead to the development of Neo-Sarkicism and its western expansion. 11. Both believed to be Hungarian and Eehish corruptions of Sarkic 'akuloth' respectively. 12. Known to Sarkites as an "Akuloth" and "His Sacred White Worm", instances of SK-BIO Type Z are symbiotic organisms found in the bodies of both Sarkites and Sarkic organisms. It is believed that they act as a secondary immune system, protecting the host against disease as well as greatly increasing their regenerative abilities. SK-BIO Type Z is also believed to be connected to the physical transformations some Sarkites undergo. 13. This is analogous to the 'táltos ló', or táltos horse, of Hungarian Paganism, which are regarded as spiritual partners of Hungarian pagan shamans. 14. A powerful psychedelic compound historically consumed by indigenous Amazonian Indian cultures for divinatory and healing purposes. 15. Hungarian rendition of "Grand Karcist Ion". That they may stay with us till the end of our time. And glimpsed the eternity spread wide. And that only from our flesh can it be birthed." 17. Égig érő fa: An element of Hungarian shamanism and native faith, and a typical element of Hungarian folk art and folk tales. It is the Hungarian equivalent of the World Tree and/or Tree of Life, a cosmological motif common to many disparate belief systems throughout Eurasia. 18. The Manna Charitable Foundation is an interfaith humanitarian relief agency whose primary agenda is the free distribution of anomalous objects, or their by-products, to civilians living in poverty-stricken regions in the Third World or in areas afflicted by warfare, famine, or natural disaster. 19. Mobile Task Force Psi-9 ("Abyss Gazers") is a battalion-strength force, consisting of personnel from the Foundation and Global Occult Coalition, trained in unconventional warfare against invading enemies through the use of heavy artillery, DMT enhanced perception, and Counter Occult Stratagems (COS).